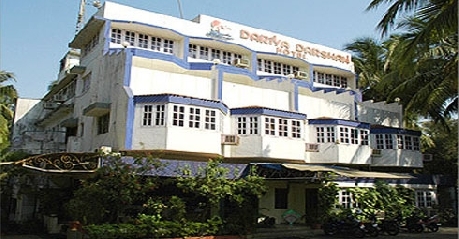 Facing the beautiful Arabian Sea Dariya Darshan Hotel is a comfortable three star property in Daman. The hotel is committed to quality and class from 1989 when it started its business. The amusement park is a great place to unwind and spend a family day at. The hotel is short drives away from the railway station and the airport. Many prominent tourist destinations, especially temples, are in close proximity to the hotel like Vasuki Nath Temple (4 km) and Somnath Mahadev Temple (7 km). The hotel provides various services that make any stay as comfortable and memorable as possible. The hotel has a refreshing swimming pool for you to bath in. 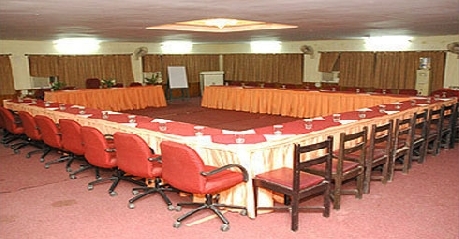 The hotel has a well-equipped conference hall with state-of-the-art business facilities. Darpan is the party plot that serves as a great venue for events and parties. The other services offered are currency exchange, 24-hour front desk, safe-deposit box, wake-up services, parking on site, laundry services, security, travel desk, car hire, internet access and doctor-on-call. The hotel has well furnished rooms categorized into deluxe rooms, Super Deluxe Rooms, Picnic Special Rooms, D.D rooms and Exe deluxe Rooms. 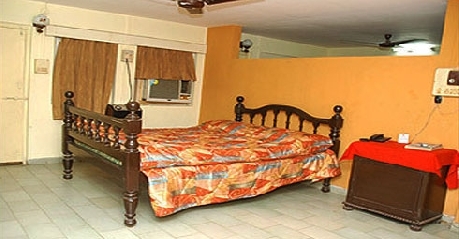 All the rooms are air-conditioned and come with round-the-clock room service. The hotel has a multi-cuisine restaurant on premises. Let natural sunlight welcome a happy morning at Dariya Darshan Hotel. The room comes with a fabulous view of the surroundings. 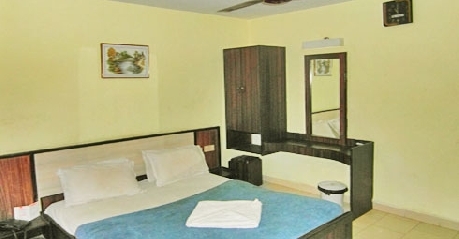 The room is well furnished with a large double bed, coffee table, sofa and luggage rack. 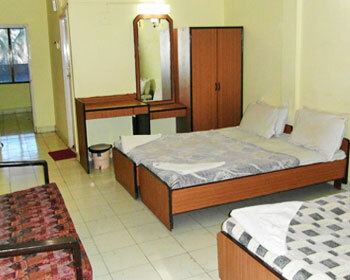 The various amenities on offer are tea/coffee maker, mini fridge, Cable T.V and telephone. The attached bathroom comes with essential complimentary toiletries, bathtub and 24 hour running hot/cold water. 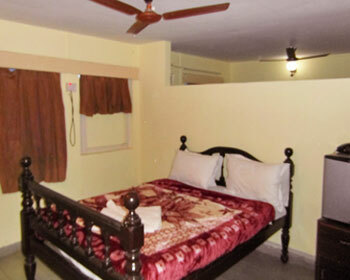 Deluxe rooms come in the variance of AC/non AC and one can choose either according to their convenience. The room is nicely furnished and done cool tones. The room has a large mirror, double bed, luggage rack, coffee table and chairs. 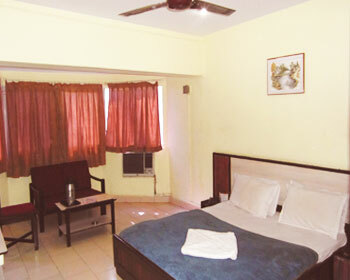 The in-room amenities offered are tea/coffee maker, mini fridge, cable T.V and telephone. The attached bathroom comes with complimentary toiletries, a bathtub and running hot/cold water. Exe Deluxe rooms are truly luxurious and spacious. The room is comprised of a dining room and a bedroom. The room comes nicely furnished with a double bed, wardrobe, dressing table, chairs, coffee table and writing desk. 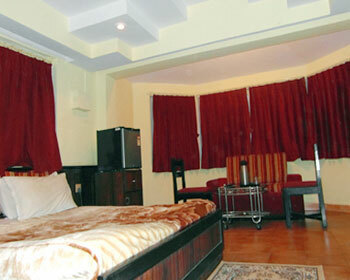 The various in-room amenities provided are tea/coffee maker, cable T.V, telephone and mini fridge. The attached bathroom has all complimentary toiletries with a bathtub and running hot/cold water. 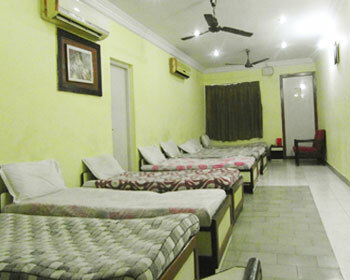 D.D rooms come in variance of special or comfort rooms. Special rooms have a partition that makes it a 2 in 1 room. The rooms are perfect for a family as they comprise of two double beds, dressing table, wardrobe, chairs, coffee table and writing desk. The rooms come with amenities of tea/coffee maker, telephone and cable T.V. the attached bathroom comes with complimentary toiletries and running hot/cold water. These rooms are perfect for a large family as they come with 7 single beds, 2 toilets, dressing table, luggage rack and chairs. The facilities on offer are cable T.V and telephone. The attached bathrooms are spacious and come with complimentary toiletries and running hot/cold water. Fita-ni-Wadi is the in-house garden restaurant of the hotel. The restaurant serves refreshing and delicious dishes from the Continental and Indian to authentic Chinese. The restaurant has very casual seating arrangement and a vibrant atmosphere. Seafood is the restaurants specialty and is not to be missed. The restaurant serves alcoholic and non alcoholic drinks as well. The restaurant arranges orchestra nights on Saturday and Sunday where people can lose themselves in the enchanting music and relax their minds.